CRM for MLM or Network Marketing is now trending to lead you throughout the several processes associated with owning a Multi Level Marketing business. Customer Relationship Management (CRM) Software is the comprehensive variety of applications that maintain customer data. 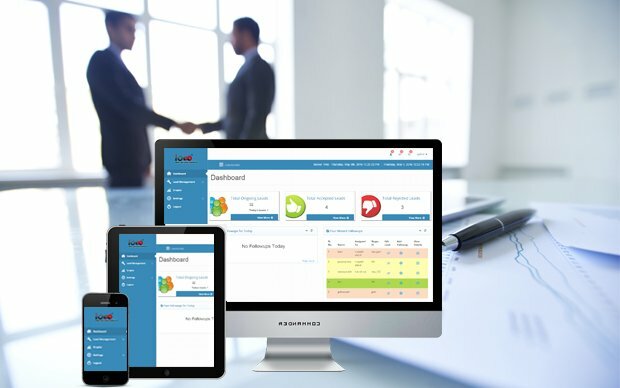 MLM companies used to integrate CRM with MLM Software to manage and analyze customer interactions with the Network Marketing business. The best CRM for MLM is that provides automated sales and marketing approaches in Network Marketing business. Network Marketing CRM keeps track on the business goal, customer service, and support. In CRM MLM Software, we provide a Lead Capture Page that helps you to get the information of the consumers. You can share your generated lead capture page to the platform from where you can get more prospects. Lead Capture Page assists you to increase your sales. When new leads fill out the form on your website, our system will automatically add that lead to your MLM CRM system and you can use this information whenever you want. Our CRM MLM Software is fully customizable and it comes with powerful reports and more than just CRM. We offer the ultimate solutions of Network Marketing CRM that leads you to get the complete details of the customers. CRM helps to maintain the healthy relationship you and your consumers. Why need CRM for MLM? When you integrate an MLM Software with a CRM, you’re doing more than creating a new system that helps in marketing as well as managing clients. MLM Software is a supercharged and marketing software and is capable of increasing lead quality, thus improving the efficiency of the marketing to sales approach. While CRM for MLM extends the benefits far beyond the enhanced marketing accountability along with maintaining the relationship with clients, Infinite MLM Software offers you the best CRM for Network marketing with all features. Marketers will notice the extended benefits of CRM for Network Marketing such as improved marketing accountability, better-targeting abilities, and powerful segmentation. The main benefit of CRM Software over a paper is to organize all the details such as managing emails and tasks, client meeting and more at one place. By this, the system has replaced all the manual work on a single interface. You can operate your data from anywhere having an internet connection. It is tedious and difficult to keep the track on every task and event. CRM will help you to keep track of every task and every event with the appropriate customer or lead. CRM Software provides a calendar system that allows you to see all of yours and also your teammates tasks. Additionally, in CRM MLM Software, you will be able to see a dashboard that gives you a quick overview of upcoming tasks and events across all your contacts. CRM is not just about nourishing the relationships with current clients. It is also about reaching to new potential customers and converting them to returning customers. Once you build relationships with your customers, you will be able to understand their needs and desires, so you can get more targeted approach. If the CRM is integrated with an MLM Software, the campaign ROI reporting will become much easier. CRM for MLM of Network Marketing will help to manage your clients as well as to boost your marketing and sales. In Multi Level Marketing, a downline refers a network of those people who are enrolled under you. The downline members’ sales or referrals generate income for you too. With our Infinite CRM MLM Software, you will get a Lead Capture Page which expedites your efforts in recruiting new leads to your downline. You can use these details for future follow-ups. This is the most effective and rewarding way to make the strong MLM Network.